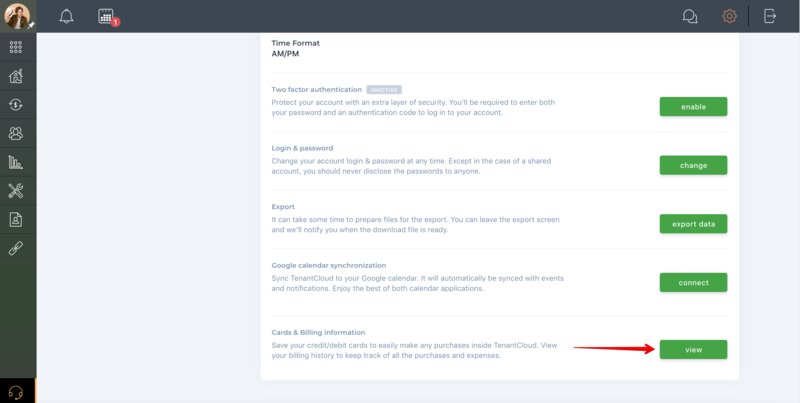 Help Center - How do I save a card for purchases inside TenantCloud? Primary card: The primary card will be automatically charged for subscription payments if you are subscribed to a paid plan. The primary card will also be auto-filled on the checkout/card form for the following pages: screening reports (Checkr Basic, RentPrep Basic, Pro, Platinum), LegalNature documents, Property Market Report, and account verification. When purchasing the SmartMove Screening Report, the card form cannot be auto-filled with one of your saved cards. You must enter your card credentials manually. Backup cards: Other saved cards will be considered backup cards. They will be used as a safety net and will be charged if your primary payment method fails. Please note! 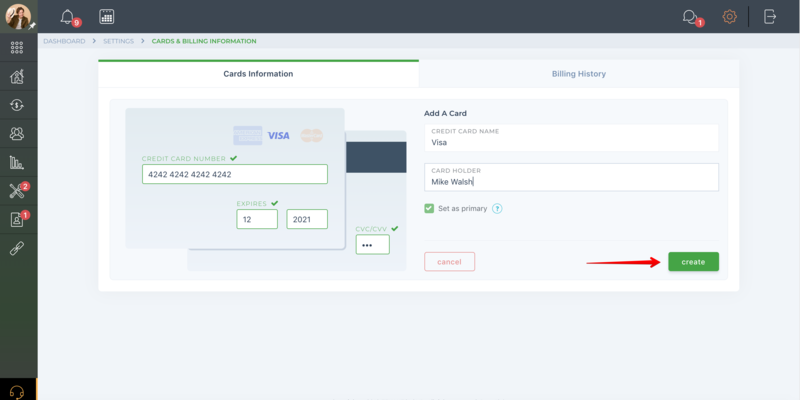 If you choose a card as primary, that card's information will be automatically filled out in payment forms within TenantCloud. If you have a backup card, then it will automatically be changed to primary once the primary card expires.